A new poll, just out, contains bad news for Quebec separatists. According to CROP , 71 per cent of Quebeckers think the sovereignty debate is “outdated”‘ up from 58 per cent last year. Only 25 per cent want to separate from Canada. Seventy per cent of Quebeckers think independence will not be acheived. Can you believe that 76 per cent of Quebeckers are very or somewhat proud of being Canadian? At the provincial level, the group led by Francois Legault, is leading the polls. He has promised not to talk about separation for 10 years. These are ominous figures for the PQ. 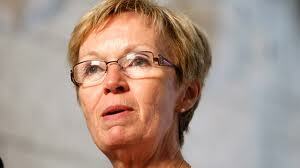 This morning in Quebec city a fourth member of the PQ resigned from the party. This in addition to the three heavyweights yesterday – Louise Beaudoin, Pierre Curzi and Lisette Lapointe, the wife of Jacques Parizeau. And this in addition to the dreadful defeat sustained in the federal election by the Bloc Quebecois, which dropped from 47 to four seats. A top PQ strategist, Jean-Francois Lisee, wrote on his blog that these resignation show that “the future of the PQ is behind it.” He added that the resignations would reduce the PQ’s chances of winning either the next election or a sovereignty referendum. Ostensibly the resignations are over leader Pauline Marois’s orders that all PQ members must vote to support a bill which prohibits aany citizen from suing over the questionable deal to build a hockey arena in Quebec City. Actually they are about Marois’ leadership which many PQ members charge is autocratic. The question now is whether her leadership is fatally compromised. So where does the PQ go from here? Is the party starting to unravel? SHOULD POLITICAL PARTIES BE SUBSIDIZED? The system we now have in Canada is that each political party receives a subsidy of $2 for each vote they receive in a general election. So if the separatist Bloc receives a million votes they are entitled to $2million from the public purse. In fact most of the Bloc’s funding comes from this tax-payer subsidy. Can you imagine that if there were a separatist party in Texas? Would Washington subsidize them? Get real. Many Canadians strenuously oppose the vote subsidy because they don’t want any of their money going to a separatist party in Quebec. Harper has promised to end the vote subsidy across the board if he wins the next election. Doesn’t the vote subsidy avoid the millions sloshing around for American elections?